At Booth Movers, we are committed to offering the highest-quality warehousing and distribution services for commercial customers throughout Bergen County and beyond. Our professional team will work with your business to help you find the New Jersey warehousing services that best suit the needs of your company. We offer a wide range of comprehensive New Jersey logistics solutions and have decades of experience assisting cabinet and furniture retailers, colleges, and businesses in the hospitality industry with all of their warehousing and distribution needs. To ensure your items are kept secure for as long as needed before final delivery, we will blanket wrap and carefully store your belongings in our 32,000-square-foot storage facility. Our conveniently located warehouse is fully-secured with 24/7 video surveillance, a robust alarm system, and a climate-controlled environment to guarantee the safety and integrity of your items. 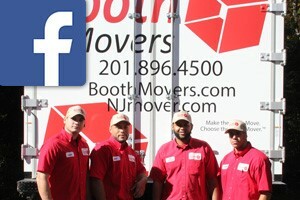 Booth Movers offers the most comprehensive New Jersey storage and warehousing solutions in the industry. To help boost the efficiency of your business’s distribution system or for peace of mind when storing furniture and cabinets for your customers, there is no better choice than our New Jersey logistics services! Commercial Storage – Booth Movers offers flexible short and long-term storage solutions that can be customized to meet the unique needs of your business. Logistics – Let Booth Movers provide your business with a seamless warehousing and distribution experience while simultaneously meeting its unique logistical needs! Commercial Moving – From small offices to large-scale corporate relocations, our experienced team can handle all the details of your commercial move. For more information on how Booth Movers can help your business with its New Jersey warehousing and distribution needs, give us a call today! You can also fill out our online quote form to request your free estimate!